The Global Wildlife Center largest totally free-roaming wildlife preserve of its kind in the country! We are located in Folsom, Louisiana and home to over 4,000 exotic, endangered, and threatened animals from all over the world. Stayed here in 44 foot fifthwheel..first the park is run down, pool was green, outdoor furniture was covered in mold, cracks all through concrete by pool to cut your feet on. 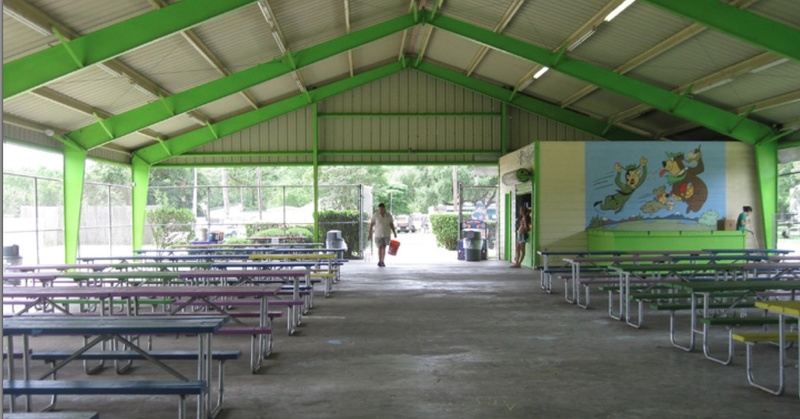 The yogi snack shack has been closed for years due to fire but never fixed. The sites were not bad,park was the best thing about this campground but that's not saying much,did not get to check out mini golf or boats but judging from the rest of the park I'm glad we didn't waste our time. The staff is of no help in emergency situation. We stayed here from 8/9/16 and thankfully escaped on 8/14/16 the river flodded the campground on the 13th I woke up to logs hitting off my camper no staff to be found.I walked in thigh high water just to let you know im 6'4 to higher ground were all the local camp owners had parked their cars on a bridge to keep them out of water, but almost blocking bridge. Thank the Good Lord and a couple of other families who were camping next to us we worked togeather to get our campers across the bridge to higher ground, still no staff. We scavenged some canoes and life jackets in case we had to leave, still no staff. Come Sunday when the waters started to recede we finally seen staff that did not care to check on anyone in park but were taking pictures for passport to leisure guests the live in people. Later finding out that all the live ins were taking shelter in the top floor of the office not bothering to offer to anyone in campers to join them. If you do decide to stay here please pay attention to forcast because you will be on your own. If you do need to stop in this area we did find a beautyful luxury resort off same exit 12 reunion lake rv resort not sure how they faired in flood but it was a beautyful place and better rates. BEAUTIFUL place. Campers were very friendly everyone enjoying there self. No loud or obnoxious people. Campground was nice, nothing fancy. Great service at the Ranger station nice and helpful. First, we found the four staff members we interacted with to be friendly. We did find similarities to a previous review. The place that had burned still has not been repaired. The pools were open I was told, but they definitely were full of green stuff and I would not swim in them. The other and amenities simply were not available because the park was quote off season. Not sure I understand that since I am from the north escaping the cold and snow and would figure that the snowbirds would be interested this time of year. We did have Wi-Fi and we're able to use it but found it it was intermittent even though the signal strength remain constant. We stayed near the entrance to the park and there is a restroom there that was working and clean. The laundry facility there was closed and no washers are dryers in it. There was a washer dryer laundromat further in the campground which works pretty good. The washers where standard size for a dollar 25. The dryer is where a dollar 25 for a 35 minute run. On the plus side I overheard a conversation that sounded like they're going to be spending a lot of money to redo concrete and make repairs this coming year. There were no fire rings it appeared fires were OK. The 30 amp electrical service did not drop out but went down to 102 volts a few times. Looking at the cabins we found that most had been damaged by the flood and had nothing inside of them except stuff that was being stored. The canoes we're not available, the kayaks were not available, putt putt was closed, the Rec Center was closed, and the adult Center was closed. They do have store that had quite a few supplies albeit a bit pricey. It was worth the $10 a night we paid with coast to coast but I don't think it would have been worth the 20 or $30 a night that the normal price would have been. Perhaps things would be different in the on season. We would stay here again for a few nights passing through but I would follow the advice of a previous review about watching the weather because with the little bit of rain we had the ground next to the camper was very soggy. They were paving the major road in front of the campgrounds while we were there and that was a very big nightmare but I'm sure that will be an advantage now that it has been fixed as it is a very smooth paved road. I will mention I had a very negative interaction with with a local traffic police officer at the corner of 90 and 445 during the construction. Screaming and yelling thinking I could just run over a vehicle on the right side of my truck. One of the worst such intereactions I have ever seen in 48 years of driving. Tons of activities for the kids to do. Too many golf carts traveling around for my liking. 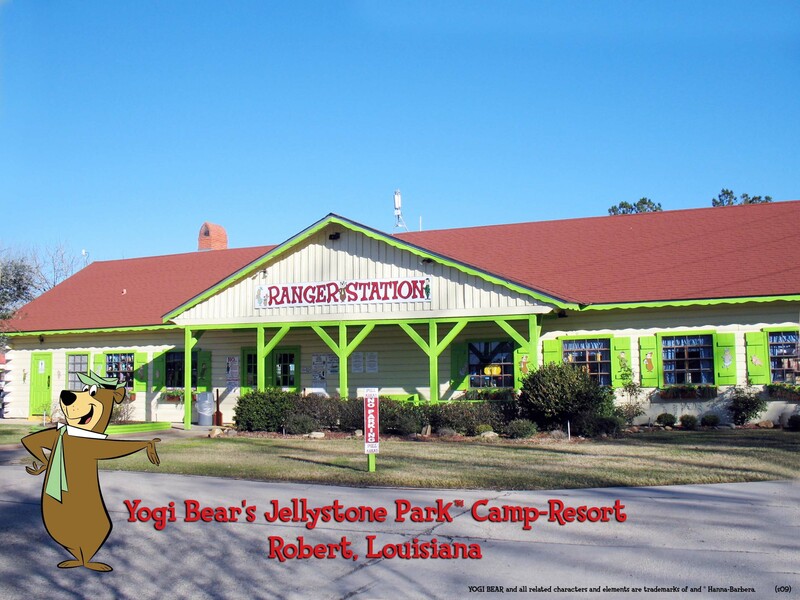 Welcome to Yogi Bear's Jellystone Park ™ in Robert, LA. 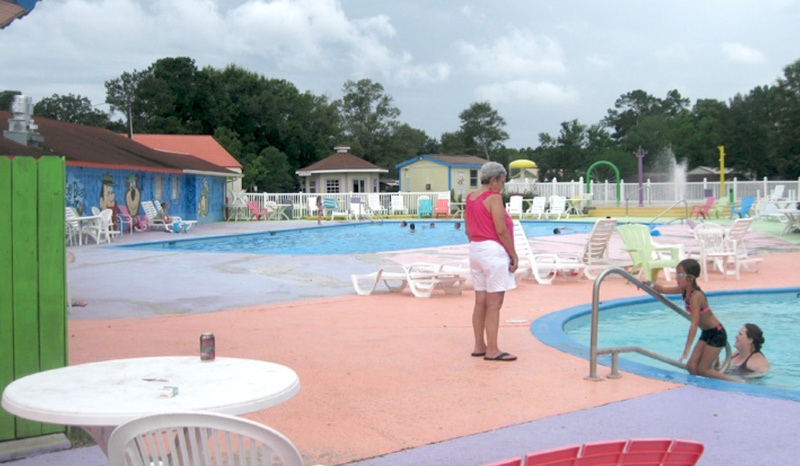 Louisiana's number one destination for family recreation and winner of the Jellystone Excellence Award twenty six years running! Our park features 374 sites, including lots with full hook-ups for RVs, and spaces with just electric and water. 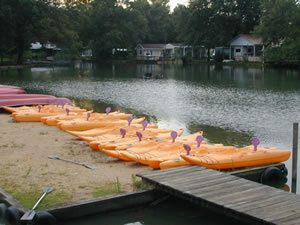 Also on-site are 88 rental cabins, ranging in type from basic, rustic camping cabins to fully furnished units. Seasonal storage is available for thos3 who need a year-round spot for your camper, storage facility or RV. You'll never run out of things to do here at the Jellystone! Lounge the day away by one of our swimming pools, relax in the whirlpool or spend a day on the water with paddle boat, canoe, kayak rentals and fishing. The kids will love our playground and wet "spray ground", and the whole family can enjoy a game of mini-putt, basketball or baseball. Use our park as a home base while you explore the local area! The Global Wildlife Center, America's Antique City and Kliebert's Turtle and Alligator Farm are all nearby, as are golf courses and shopping areas. Come to the Jellystone Park ™ and find out exactly why we're Lousiana's best park for family fun.